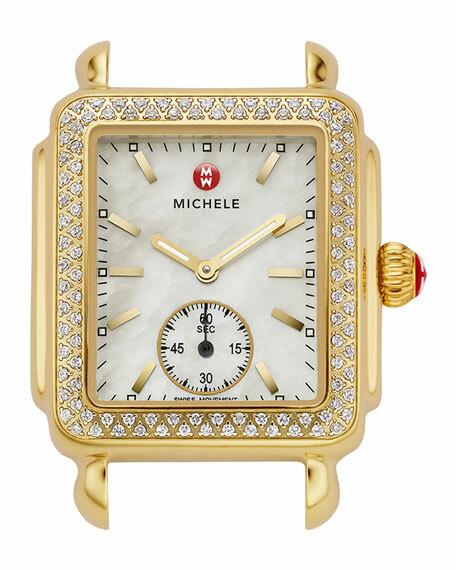 The covetable Michele Watches Deco 16mm Diamond Gold head boasts an enduring design, crafted of light-lauding yellow gold and radiant white diamonds. 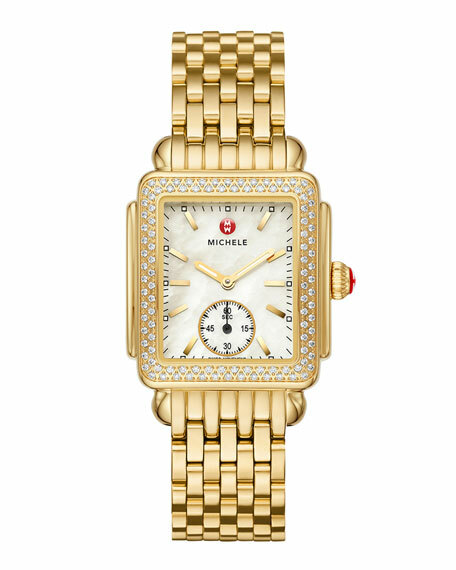 18-karat yellow gold-plated stainless steel case. Pave white diamond bezel; 0.49 total diamond carat weight. Natural mother-of-pearl dial with yellow gold numeral markers.